Collateral is an important tool that modern financial institutions use to mitigate credit risk. It is normally used to recover payment of the outstanding obligation in the event of customer default. Collateral may be in the form of either tangible assets, such as real estate or vehicles, or financial assets such as fixed deposits or shares. Islamic banks also apply collateral as an important credit risk mitigation device. However, the collateral for Islamic banks has different characteristics from that of the conventional system in the sense that the former has to be Shariah compliant. (3) To assess the application of Shariah non-compliant assets as pledges in Islamic banks. 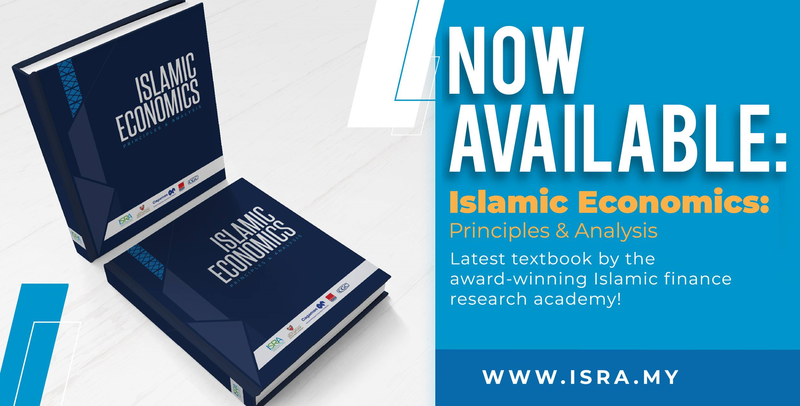 The study is library-based, benefitting from various classical sources, Quranic texts and Prophetic traditions to reach a cohesive understanding of the Shariah position pertaining to the use of prohibited assets as rahn. The study also examines the various forms of pledge available and offered in the market using document analysis as well as discussion with industry practitioners. The study affirms that the concept of pledge in the current banking structure is not something new in Islam. Islamic law recognises the concept of rahn as a security contract. The study found that the requirements of rahn in Islam follow the conditions of the asset in a sale contract: it must be recognized by the Shariah as valuable and be existent, identifiable, deliverable and owned by the pledger. The reason for these requirements is that the function of a pledge is to settle the outstanding obligation by selling it in the event of debtor default. This is only possible if the pledge is legally recognised subject matter of the sale contract. Any item which is permissible as the subject matter of a sale is also permissible as collateral. Therefore, a Shariah non-compliant asset does not qualify to be the subject matter of rahn. (4) An asset acquired with the consent of the owner by unlawful possession without the use of any nominate contract. (i) For a non-monetary asset, it is not permissible to accept it as rahn due to the absence of ownership. (a) If the money is not commingled with other money, it is not permitted for use as rahn. (b) If the money has been mixed with other money, it is permissible to accept it as rahn up to the limit of the amount of the halal portion. 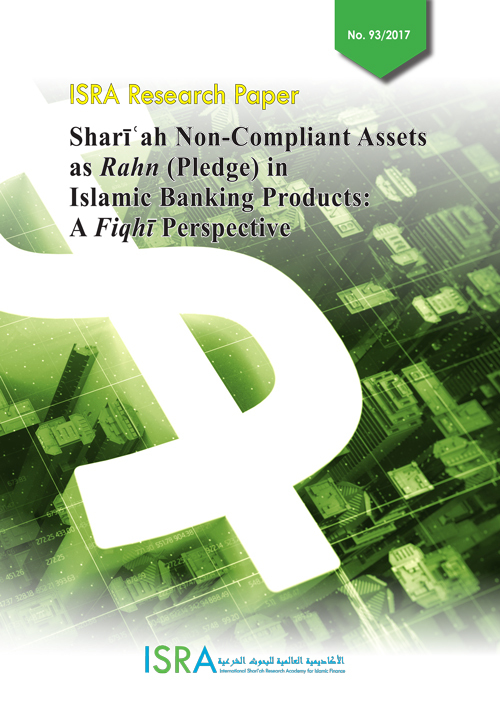 As for the Shariah non-compliant asset acquired through a voidable (fāsid) contract, the study found that the asset can be used as rahn, according to the Ḥanafī School, provided that the contract has undergone rectification or the purchaser has taken possession of the asset with the seller’s consent. Based on the established Shariah framework presented in the paper, the study concludes that a conventional fixed deposit or a conventional bond can be used as a pledge limited to the principal amount or the issuing price of the instrument, respectively. A Shariah non-compliant unit trust may also be utilised as a pledge capped at the value of investor’s initial investment and subsequent top-ups. Furthermore, the shares of companies with mixed assets that comprise Shariah-compliant and Shariah non-compliant assets may be accepted as rahn provided that the core business activities of the company are Shariah compliant. A share which comprises mixed activities can also be used as rahn valued up to the amount of the Shariah-compliant portion only. The shares of a company not meeting the financial ratio benchmark may also be utilised as rahn. An insurance policy can be accepted as a pledge limited to the total amount of premiums the policyholder has paid. This framework has been developed based on the fundamental Shariah ruling on rahn. Other considerations, such as maslahah, hajah, dhariah, that may form a basis to depart from its original ruling are put aside and left to the discretion of the respective Shariah authorities on a case-by-case basis. The paper acknowledges the possible gap between the established framework and the prevailing practices. This is particularly true since the paper only deals with the issue of collateral that has the characteristics of a pledge. Further studies may examine each and every form of collateral available in the market such as debentures, charges, assignments, securities, etc.